Save time and money in the field. Pre-assembled connectors and cables can reduce maintenance time and reduce the overall cost of ownership compared to hardwiring. Field labor is expensive, and wiring errors can cause additional costs and downtime. Using connectors provides a plug-and-play solution that is quick, easy, and virtually eliminates wiring errors. HARTING is proud to be a contributing partner in the Open Compute Project and Microsoft’s Project Olympus. Microsoft recently featured our Han-Eco® product in their keynote address at both the Open Compute Project US Summit and Data Center World Global. You can see details below in this short video. 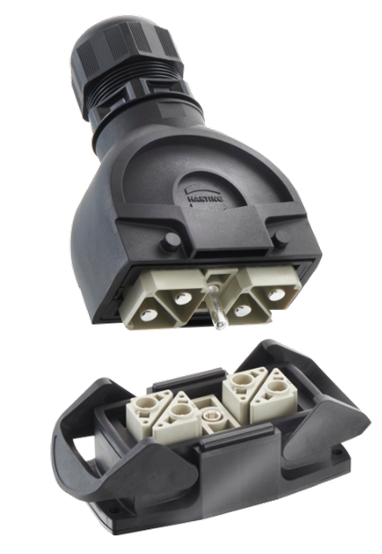 The Han-Eco® is an electrical connector that makes installation quick and easy and ensures critical power to data systems. The Han-Eco® system features a plastic hood and housing and either power inserts with a built in ground for safety or modular inserts that allow mixing of signal, power, and data in a single connector. The Han-Eco® will integrate into power distribution units of the future, ensuring safer power connection points, space savings with modularity, and decreased downtimes to install or replace. The Ha-VIS LOCFIELD® changes everything. 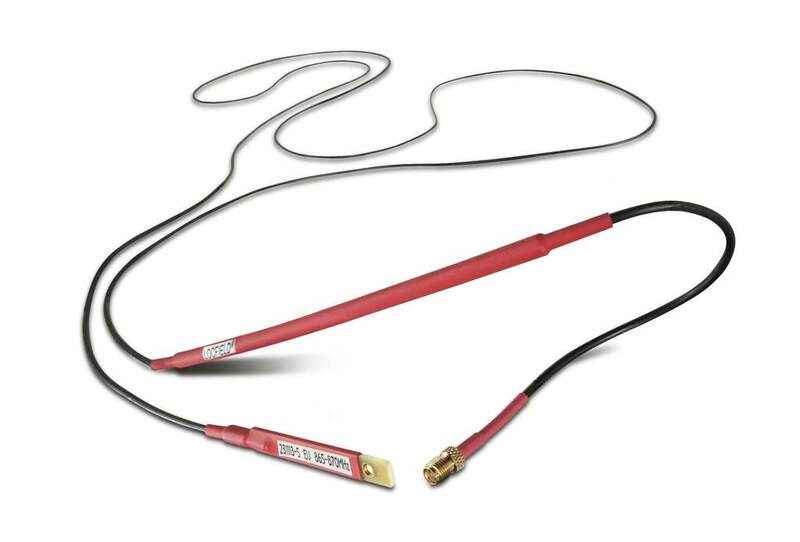 Instead of installing patch antennas, the coax antenna cable itself becomes the antenna. The read range can be varied from a few centimeters to about 2m just by changing the power of the RFID reader. The LOCFIELD® antenna can easily be installed in any shape which serves the project in the best possible way. This will change Data Center asset management for the better as the market turns to time and space saving tools. Using this system, data centers will benefit from constant real-time monitoring of assets within single or multiple server racks. HARTING Han-Eco® Our strongest idea – taken further.